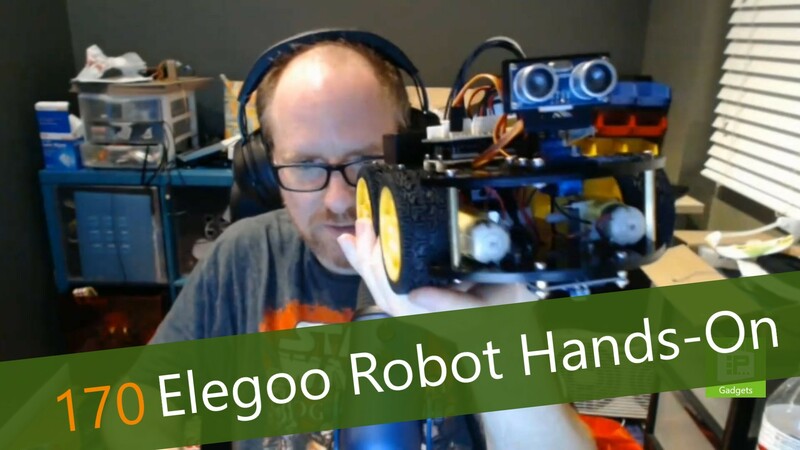 This week, Avram Piltch gives us a hands-on with the Elegoo EL-KIT-012 Smart Robot Car Kit V 3.0, an Arduino-powered robot kit he purchased on Amazon Prime Day 2018. The kit comes with everything you need to get started: an Arduino UNO, chassis, wheels, ultrasonic distance finder, IR controller and more. One oddity is that the instructions come on a DVD, but thankfully the company also offers them on their website, for those of us without an optical drive. Avram built the robot in a few hours with his son and highly recommends it to anyone interested in experimenting with Arduino.